The West Virginia House of Delegates convened Wednesday with a record-setter in its midst—freshman Del. Caleb L. Hanna, who became the nation’s youngest black legislator following his election at age 19 in November 2018. At first, his small Republican campaign was designed to push Democratic incumbent Dana Lynch to be “more proactive in the legislature,” Hanna told The Daily Caller News Foundation. But things shifted when Hanna realized he could win the Republican primary—even if he was running his campaign from his dorm room at West Virginia State University, where he studies economics. Leading up to the general election, Hanna faced doubts about his age and experience, a shoestring budget, and one instance of racist flyers he reported to law enforcement. 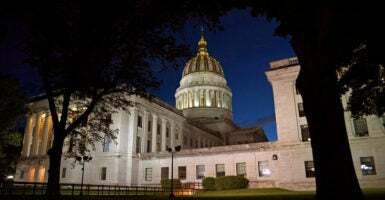 But Hanna defeated Lynch by roughly 25 points in West Virginia’s House of Delegates District 44 in November, with results reported as 60.3 to 35.7, according to Ballotpedia. Hanna is eager to listen to others and learn about issues, which are qualities that make a young lawmaker successful, Queen told The Daily Caller News Foundation.